Waterfall Info: This is the biggest waterfall on the Jacks River. It consists of a separate upper run of cascades and spectacular lower drop into a rock amphitheater. 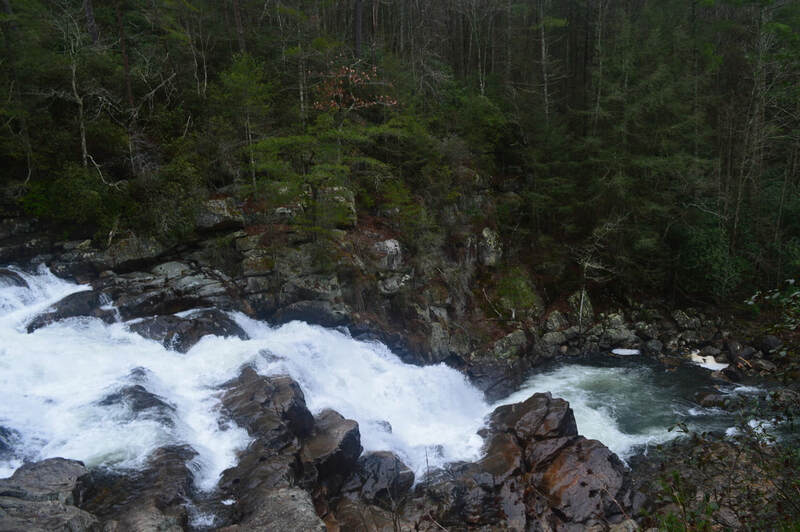 Access Info: The easiest access to Jacks River Falls is via the Beech Bottoms Trail from FS 62 in Tennessee. A second way to reach the falls with at least one ford of Jacks River is via Rice Camp Loop from the end of FS 51. Mark Oleg's favorite way to reach it is via Horseshoe Bend Trail and Jacks River Trail from FS 51 but it's the most difficult route with over a dozen of river fords in each direction. A steep scramble path leads to the base from Jacks River Trail (which passes near the top).